Shopping for a like-new vehicle with a used-car price-tag? MINI of Escondido’s inventory of Certified Pre-Owned MINI vehicles is a good place to begin your search! You’ll enjoy all the style, luxury, and peace of mind of a new MINI for a lower rate. Below, you’ll find 9 fully inspected and warranty-protected pre-owned vehicles from MINI, such as the MINI Clubman, Countryman, and Hardtop 2-Door and 4-Door. Contact us to schedule a test drive near San Marcos and San Diego! 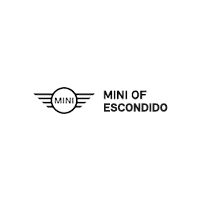 Why Buy a CPO MINI Vehicle from MINI of Escondido? Ready to take the next steps? You may want to check out some of our deals on Certified Pre-Owned vehicles. Then, when you’re ready can value your trade-in vehicle online, then apply for financing online through MINI Financial Services!